We build and design solutions for the cloud. We specialize in custom development on the Salesforce.com, Force.com, WordPress and iPhone platforms. We offer professional services in the areas of Salesforce.com customization and integration, custom application development on the Force.com platform, WordPress theme and plugin development, and iPhone applications. Our first product, Basejump, is launching December 2009 on the Salesforce.com AppExchange and allows for Salesforce.com users to manage Basecamp projects within Salesforce. 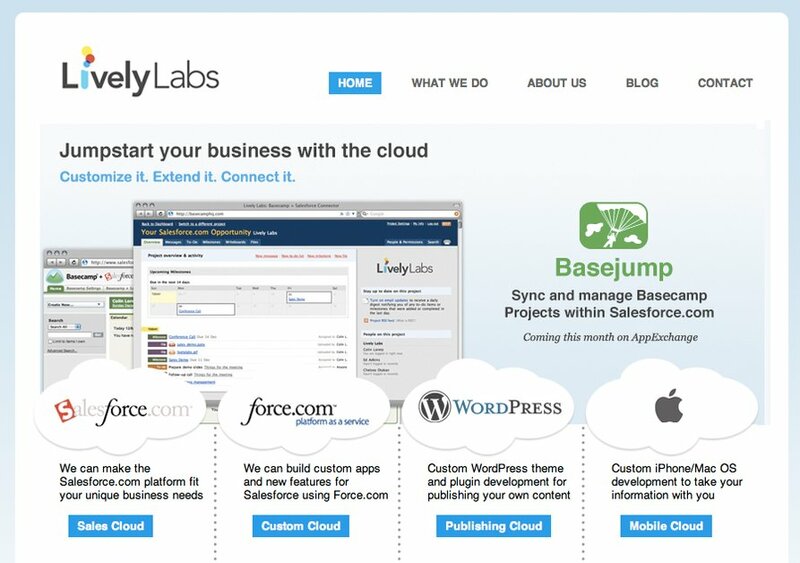 Lively Labs develops and designs solutions for Salesforce.com, WordPress and the iPhone.